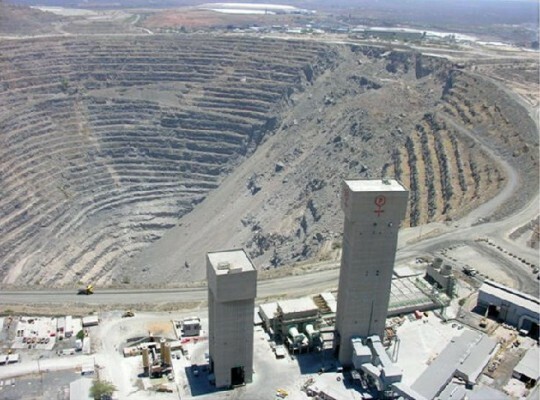 Palabora Copper (Pty) Limited, a subsidiary of Palabora Mining Company, has received the much anticipated nod from their shareholders to execute the R 9.3 billion life of mine extension project. 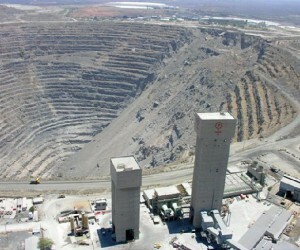 The project known as Lift II is a block-cave mine development that will see the company extending its life of mine until 2033. The approval follows an extensive investment on pre-feasibility and feasibility study as well as the critical early works development in which approximately R 2 billion was spent. Announcing the shareholders’ decision, company Acting Chief Executive Officer, Maboko Mahlaole, said this is exciting news for the company, the community, contractors and most importantly the over 2200 people in our employ. “We’ve always been known as South Africa’s principal producer of refined copper and this project allows us to extend that legacy for the next 20 years.” Palabora Copper is also known for its vermiculite deposits and has over half a century old magnetite stockpile. Mahlaole adds that making the project much viable was the completion of a ground-breaking bankable feasibility study in May 2014. “That further gave credence to the shareholders and the company in understanding of the ore-body and the overall technical and capital requirements. Palabora Copper’s General Manager of Growth Division, leading the Lift II project, Nick Fouche adds that the bankable feasibility study presented an option, at a 90% confidence level to develop a new Lift II mining footprint- 450 meters below Lift I that will ensure a continuation of copper mining in Palabora until 2033. “Lift I is scheduled to reach its lifespan during the year 2015,” he said. Fouche says the project team has already achieved some good results having developed over 10 kilometers of tunnel infrastructure at some of the highest advance rates in the world with a very good safety record. Some of these successes came from innovative means of contracting and setting up the development. “Lift II will make the company South Africa’s first to operate electric LHD’s and be identified as one of the deepest block cave mines in the world. In addition, we intend to raise-bore 2 x 6,2m diameter holes to a depth of 1200m – such depth using this technology has never before been done in Africa,” Fouche enthused. Mahlaole said the global economic downturn and the strained commodities markets also exacerbated the delay in the final decision by the shareholders to go into full execution. “Strategically, however, the board allowed that we continue with the critical works while we were waiting for the shareholders and that decision has significantly de-risked the project,” he said. “The project success is dependent on the collaboration of all stakeholders, including government, labour movement and local leaders in order to provide fertile environment to execute Lift II,” concludes Mahlaole.